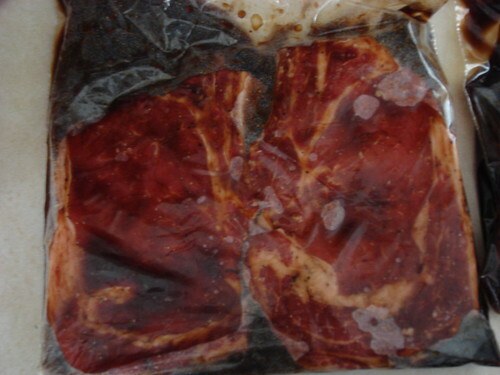 The rib eye or ribeye, is a beef steak from the beef rib. 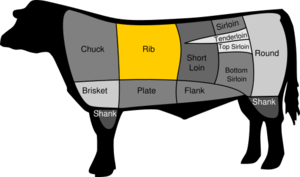 When cut into steaks, the rib eye is one of the most popular, juiciest, and expensive steaks on the market. 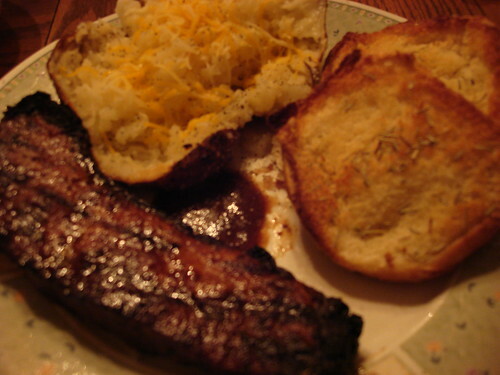 Meat from the rib section is tender and fattier than other cuts of beef. 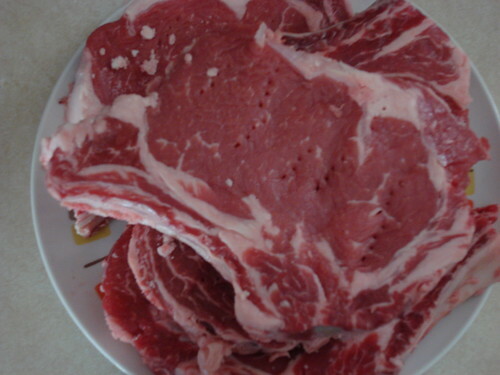 This extra fat makes rib eye steaks and roasts especially tender and flavorful. Well, with our grill I don’t even trust the juiciest of juicy steaks. I wanted a meat tenderizer that wouldn’t over power the steak’s yummy flavor. I decided on Lawry’s Tenderizing Beef Marinade. All that was required was to mix it with a small amount of water and mix the two together. Which was a very simple task to complete with a gallon size Ziploc bag. 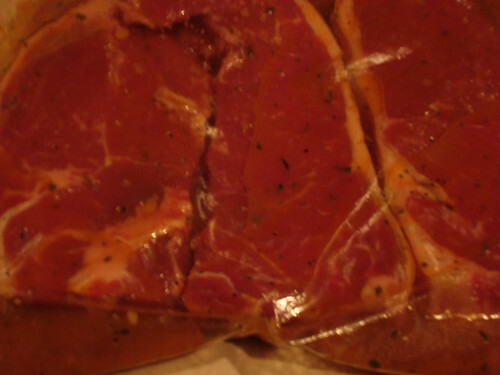 Pierce the meat a 3-4 times on each side and place inside the Ziploc. Okay – so pierce as many times as you want, depending on the surface size of the steak. 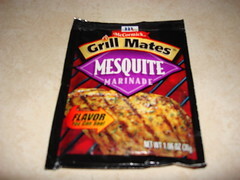 The worst that could happen is the marinade flavors invade the whole steak and take over. Not so bad. Let that sit in the refrigerator for 30 minutes or longer, flipping once halfway through. Or…leave it in longer for a more invasive tenderized effect. 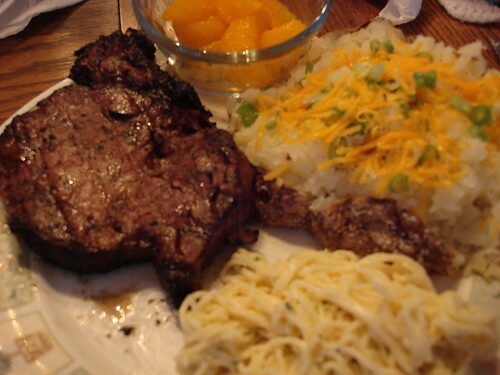 I passed the steaks on at this point so I could finish up my baked potatoes and start some Pasta Roni.